Invoices from the research firm, Advitek Inc., were normally sent to Target’s U.S. head office. But two days before Target Canada filed for court protection from creditors, the parent company asked Advitek to “change the invoices to Canada instead,” Kathrin Menge, a manager at Target Canada, wrote in an e-mail to her U.S. counterparts. “I find this very suspicious,” Ms. Menge says in the e-mail, which was filed as evidence in the Ontario Superior Court of Justice this week. The court squabble between insolvent Target Canada and some of its suppliers has heated up over allegations the retailer benefited from the timing of its court filing for creditor protection. A Toronto-based market research firm that did work for Target says it was told to switch an invoice from the retailer’s U.S.-based parent to Target Canada just several days before the filing, leaving the firm with what it says is now a $232,328 unpaid claim. Invoices from the research firm, Advitek Inc., were normally sent to Target’s U.S. head office. But two days before Target Canada filed for court protection from creditors, the parent company asked Advitek to “change the invoices to Canada instead,” Kathrin Menge, a manager at Target Canada, wrote in an e-mail to her U.S. counterparts. “I find this very suspicious,” Ms. Menge says in the e-mail, which was filed as evidence in the Ontario Superior Court of Justice this week. The e-mail was dated Jan. 22 – a week after the retailer got court protection and announced it was leaving the country. Suppliers are pushing to find out the precise timing of parent Target Corp. executives’ decision to pull the plug on its Canadian division, suggesting the retailer avoided paying bills while bulking up on inventory in the 30 days before the filing in order to cash in on subsequent going-out-of-business sales. 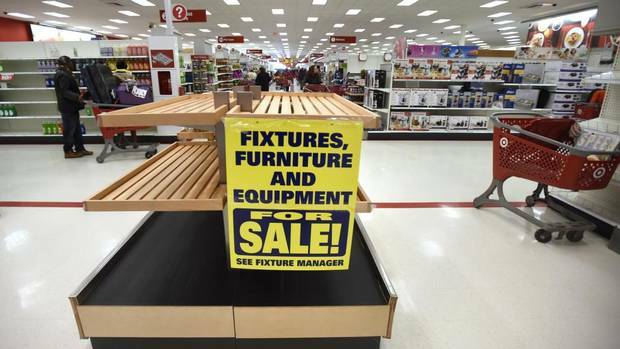 The vendors, who are fighting to get back hundreds of thousands of dollars they’re owed by Target Canada, are just the tip of the iceberg among victims of the U.S. discounter’s failing here. On Thursday, the suppliers made some progress in their battle. Justice Geoffrey Morawetz agreed with a timetable for Target and its court-appointed monitor to produce information on an array of matters tied to the contentious issues. The judge even gave lawyers for the suppliers and market researcher the right to cross-examine Target Canada’s legal counsel on the issues, with notification about the questioning to come by March 30. The suppliers are seeking to unearth “the tactics employed by Target USA and Target Canada to pay as little as they can to get out of this with maximum benefit and minimum risk,” Lou Brzezinski, a lawyer at Blaney McMurtry LLP that represents Advitek Inc., said in an interview. In raising questions about Target’s timing, Joyce Rees, president of Advitek, said in a sworn statement that she had been specifically instructed to direct her invoices last fall for her work – code named Project Loon – to the attention of an executive at Target U.S.
Other suppliers suggest in court filings that they shipped inordinately large amounts of goods to Target Canada in the 30 days before the retailer’s creditor protection filing. If the proceedings were a bankruptcy, the vendors would have the right to ask to repossess those 30-day goods. By the end of January, “Target Canada, according to our calculations, would have had in its stores and distribution centres goods totalling approximately $2,241,000, which is an amount far in excess of anything it could reasonably anticipate selling in the next six months, and certainly not the next quarter,” Shell Bern, president of baby merchandise suppliers ISSI Inc. and Elfe Juvenile products, says in a court filing. Alvarez & Marsal Canada Inc., the monitor in the Target proceedings, said this week that its inventory on hand as of Dec. 15 was about $623.1-million, excluding goods in transit, and, as of Jan. 15, about $526.6-million, excluding goods in transit.